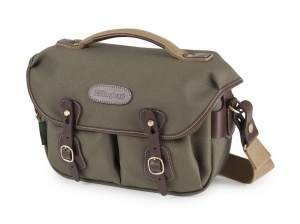 The new Billingham Hadley Small Pro is the new sister bag to the ever-popular 'Hadley Small' - internally exactly the same size, but with some added features that should make it perfect for many professional photographers and demanding enthusiasts. 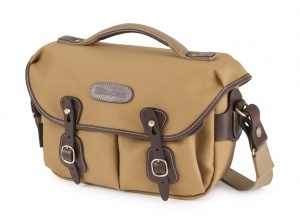 Of course, Billingham made sure to keep the best parts of the original 'Hadley Small'. For impact protection the bag features the same well-tested padded liner insert (included) as the current ‘Hadley Small’ design. This is made from dense, fabric covered, ‘closed cell’ foam and provides impact protection on all six sides – including the lid. Inside the insert come two removable vertical dividers, and two removable padded flaps for stacking lenses – these dividers attach inside with Velcro®. The insert itself attaches into the bag with a single strong press-stud – remove the insert and the bag transforms from a camera bag to stylish compact messenger bag. Like all of Billingham's camera bags the outside is made with 3 layer stormproof 'Stormblock' material - two layers of fabric bonded together with a middle layer of butyl rubber. Stormblock fabric never needs 're-proofing' because the butyl layer is bonded permanently into the core of the fabric. The top flap of the bag is ‘sculpted’ over the opening of the main compartment so that even in driving rain shouldn’t get in if you have it closed up. The front closing straps are designed around the ‘Quick Release System’. To open the bag you slide the leather straps off the brass ‘clogballs’ at the top of the strap – with a bit of practice you'll soon be able to open the bag one handed. The buckles half way down the closing straps are used solely to adjust the fit of the top flap over the main opening and the pockets - you don't need to use them to open the bag. 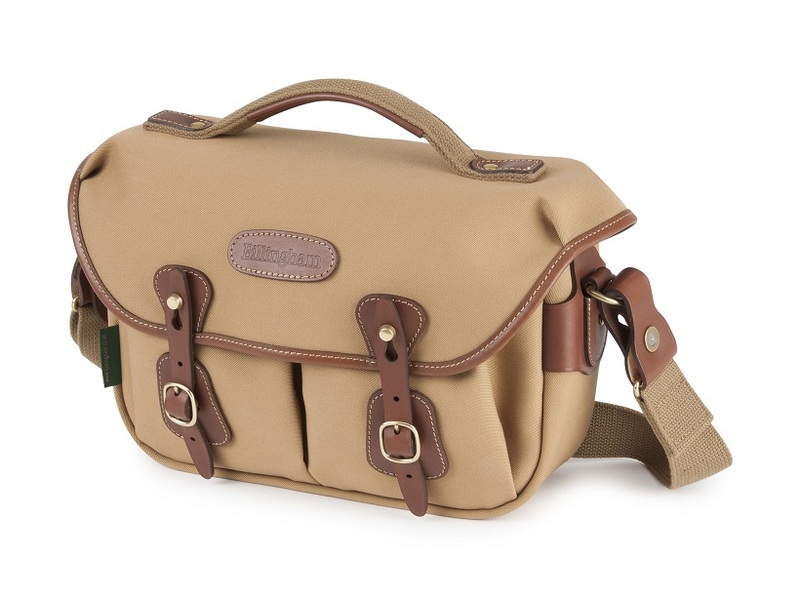 Billingham made these straps slightly less wide compared to the Hadley Pro (and old Hadley Small) to help the aesthetics of the bag. The bag's two front pockets are fitted with a secondary stud in their top outer corner - open this stud to create extra space or close it to form a handy pen holder. 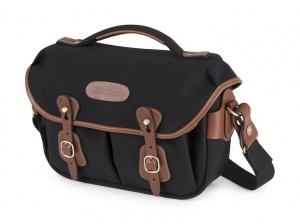 The Hadley Small Pro is small on the outside yet larger than you’d expect on the inside. For example it can hold 2 rangefinder cameras (e.g. Leica M10 and M9 each with lenses attached), a premium mirrorless (CSC) camera (Fujifilm X-Pro2, Lumix GH5 or Olympus OM-D E-M1) with 2 or 3 small to medium sized lenses or even a mid-sized DSLR without battery grip (e.g. Canon 5D Mk4 with 24-70mm f2.8 attached and 24-105mm lens in the bag too) because the bag can bow out slightly at the top to accomdate larger equipment. Internal Dimensions: W260mm (10¼”) x D80mm (3⅛”) x H190mm (7½”) Please note this bag and its padded insert are flexible - especially front to back. Therefore it can fit items slightly larger than the dimensions suggest - inside it could comfortably bow out to a 'D' measurement of 100mm at the bottom and 120mm at the top (at the centre) for example. Shoulder Sling Measurements: Length: can be adjusted between 1000mm (39⅜") to 1700mm (67"") approx. Width: 38mm (1½").